Max is a singer-songwriter, multi-instrumentalist and producer. A graduate from The Institute of Contemporary Music Performance, where he gained a Bmus (Hons) in Music Performance, Max has already performed at prestigious venues around the world. 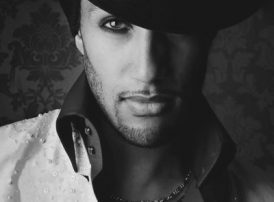 As well as being a seasoned vocalist, Max is a professional dancer, making him an incredibly dynamic performer on stage.